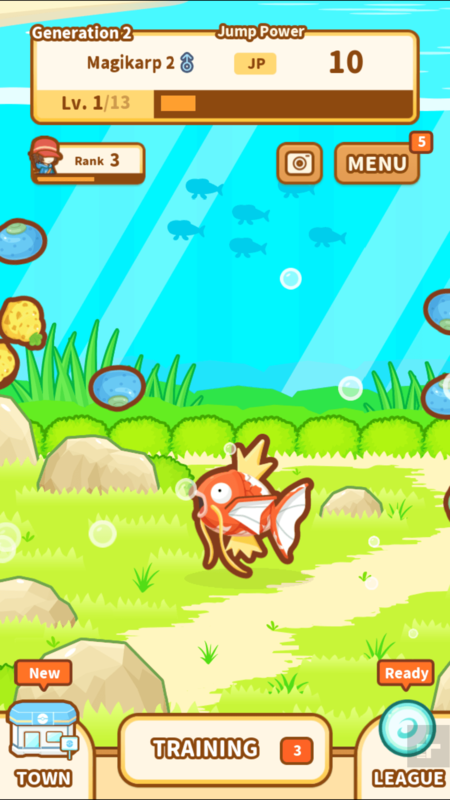 If you’re looking for yet another nostalgia-filled pokémon app aside from the hyped-up Pokémon Go, you’ll love Magikarp Jump. Even if your Pokémon card-filled binders are a little dusty, and you haven’t picked up that Game Boy in a decade, this new mobile game from The Pokémon Company is super simple to follow. It requires only your thumb, little strategic thinking, and a whole lot of patience. The purpose of Magikarp Jump is to win the title of League Champion against other Magikarps — through jumping competitions. To maximize its jump power, you take a useless Magikarp through a series of training sessions where it grows stronger. The majority of playing time is spent feeding your Magikarp snacks like Oran and Sitrus berries. You can purchase more powerful food in the coin shop to help your Magikarp grow, and increase your jump power more quickly. It feels vaguely similar to the Tamagotchis we cherished as kids — there’s no multi-player component, and you’re solely responsible for making sure your Magikarp is well-fed, trained, and full-on thriving at life. In true Tamagotchi fashion — but breaking from traditional Pokémon games — your Magikarp can die. 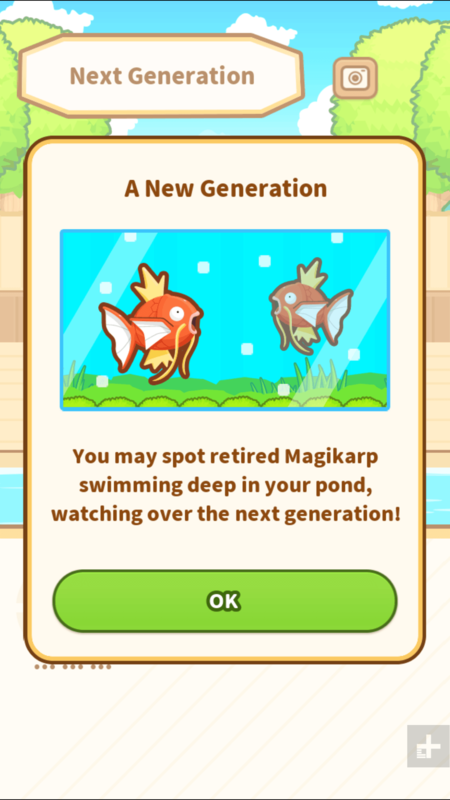 As if death wasn’t enough, you get to watch the ghost of Magikarp 1.0 swim past new and healthy Magikarp 2.0, reminding you of your previous mistakes. Nope, I don’t remember this dark and twisted version of Pokémon either growing up. I watched my Magikarp kick the bucket after attempting to shoot through all the levels by growing it on food alone, and then taking it straight through to compete in the jump leagues with minimal training. Lesson learned: Don’t overexert your Magikarp. My second Magikarp died as well when curiosity got the best of me and I forced it to jump up to swipe some berries from a tree. A warning message popped up asking if I was positive that I wanted to proceed with this action, and after clicking jump, a Pidgeotto swooped up out of no where and grabbed my Magikarp — suggesting that pokémon do eat other pokémon . 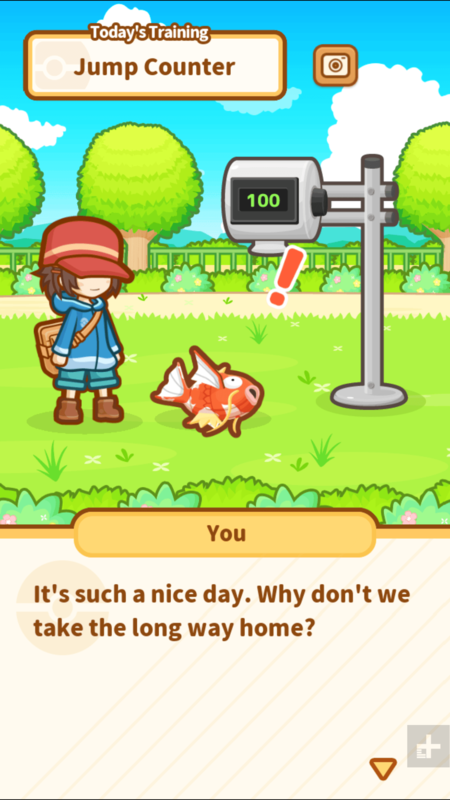 Only in Magikarp Jump can a nice sunny stroll paired with some berry picking result in death. You might want to keep this game away from children because even as an adult, murdering innocent pokémon is pretty scarring. The difficulty of the game can be a little deceiving, seeing as how I managed to win consecutive rounds of battles in the first league without having to train in between. It seemed way too easy until I got to the Quick League and realized my tiny little Magikarp was not cut out to jump higher than the oversized Magikarp next to me, and I was right. If there’s one thing I learned from this game, it’s that shortcuts will get you no where. I’m now on my third Magikarp and will be training him Rocky Balboa style. Third time’s the charm, as they say. 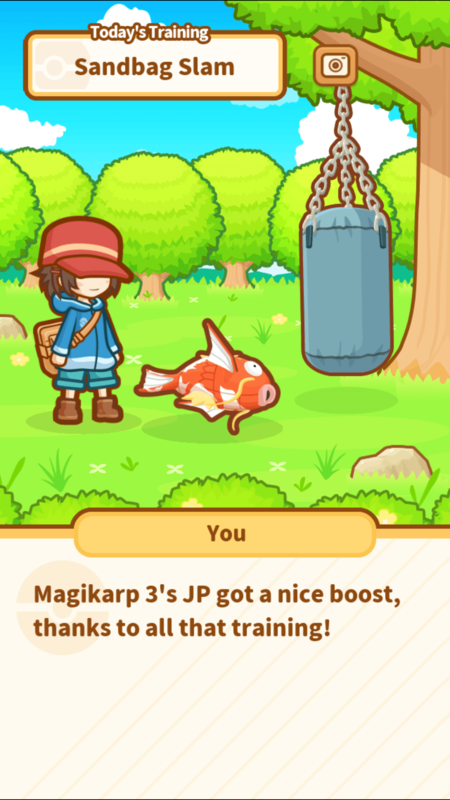 If you’re planning on playing the game strategically, you can train your Magikarp through exercises like a jump counter, where your Magikarp jumps up and down excitedly, or a sandbag, where Magikarp just seems to hit itself against the bag. Super weird to watch — but hey, it earns you points along the way and increases Magikarp’s size for the leagues. Once you feel ready to compete, your Magikarp will face off with another to see who can jump higher. There are four leagues with numerous battles within each. If you win, you can continue to unlock more battles to compete in, or you can take Magikarp home to train more. Your Magikarp also receives bonus coins, and can help your trainer move up a ranking level. The app itself is extremely easy to navigate, and aesthetically, the game sticks to familiar Pokémon animations with live storytelling and colorful imagery. 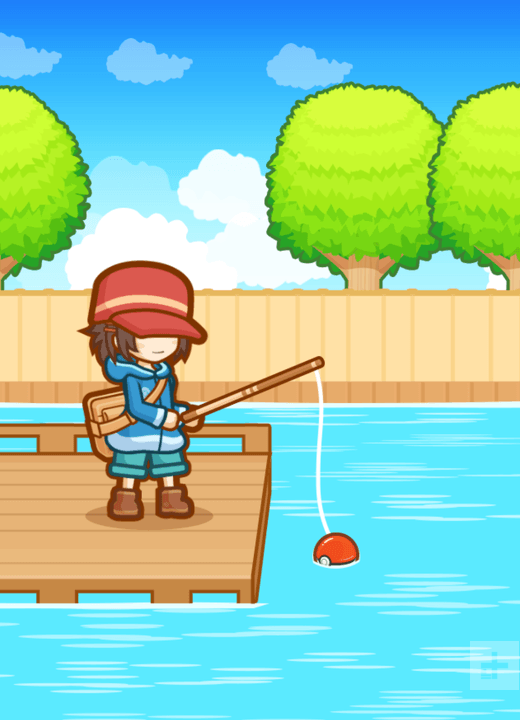 You can even switch the backgrounds between land and water for your Magikarp to freely float around in; and Magikarps can also come in different patterns, depending on what you catch at the beginning of a new life. By using your diamonds (which you earn through completing achievements and events) or beating particular leagues, you can invite more pokémon to join Magikarp — they provide moral support and give Magikarp rewards. For example, Snorlax offers food for Magikarp, while Popplio drops sunken treasure to help boost points. Pikachu cheers on your Magikarp and awards it some jump points as well. For the extreme Pokémon gamer, there’s plenty to unlock if you continue to rack up coins and max out levels. You can actually evolve Magikarp into Gyarados, but it’s more of an easter egg rather than a part of the game. Tap on your Magikarp repeatedly to break its Everstone, then level it up to 20. It will then evolve into Gyarados, but it will cease participating in jumping competitions, and you’ll have no choice but to start over with a new Magikarp. Magikarp Jump is available for free on Android and iOS, and it has in-app purchases so you can buy more diamonds, or exchange tickets to trade for rare items throughout the game.